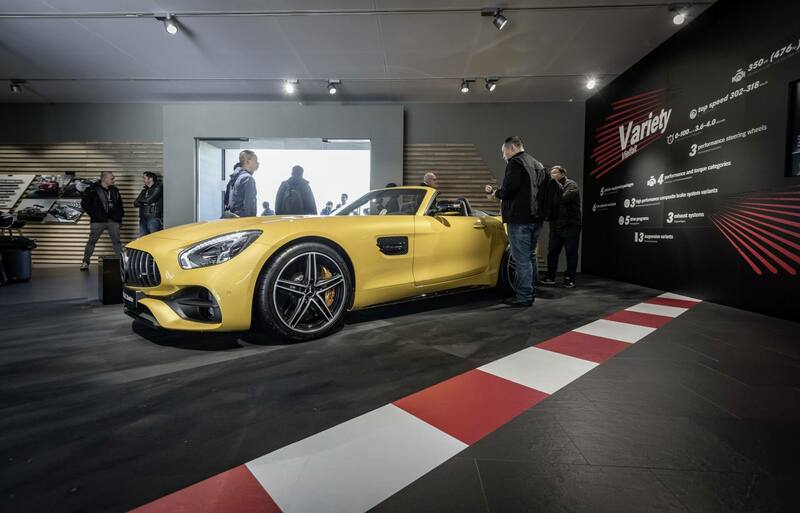 Just a little more than 4 km long and with 19 corners, climbs, and drops with a gradient of up to 26%; in other words, the race circuit offers every characteristic needed to put the sporty and dynamic AMG GT models through their paces. The track is less well-known than other venues, but provided OSK with a perfect canvas for an exceptional live event. Successful driving presentations depend on the organizer’s ability to create a memorable experience with with a focus on sampling and testing the available vehicles. 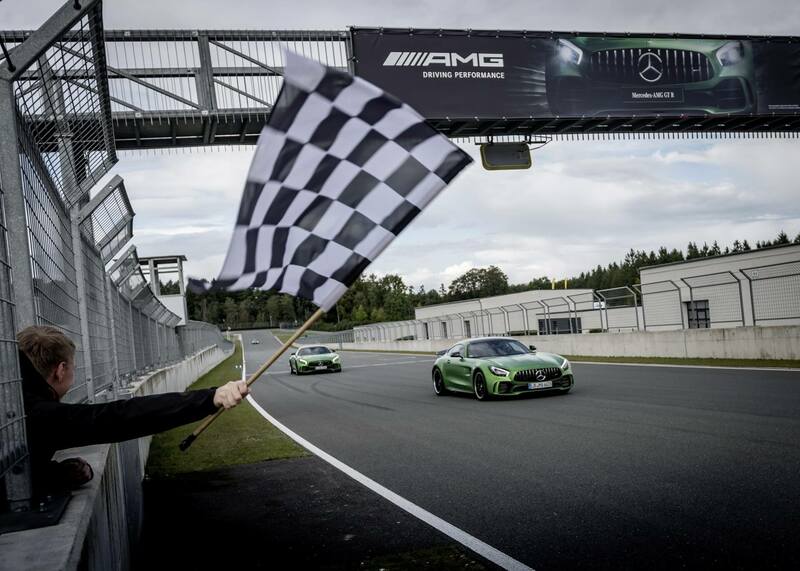 Therefore, Mercedes-AMG generally opts in favor of racing circuits. In consequence, on each occasion OSK’s experts face the challenge of finding a track to match the relevant model’s attributes – and preferably one that is considered a new gem. 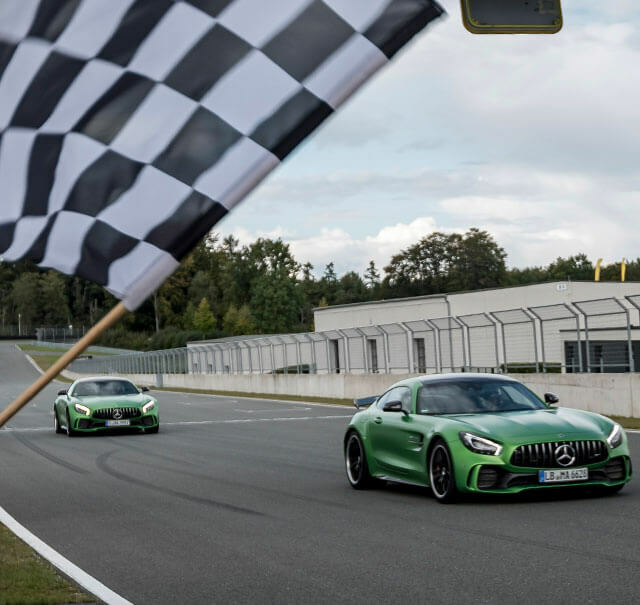 The Bilster Berg in the Teutoburg Forest is just such a gem – it is a private track where none other than Formula 1 World Champion Lewis Hamilton has already recorded some sparkling laps. Although it remains just below the international radar because it does not host regular race meetings, the circuit is nonetheless demanding. 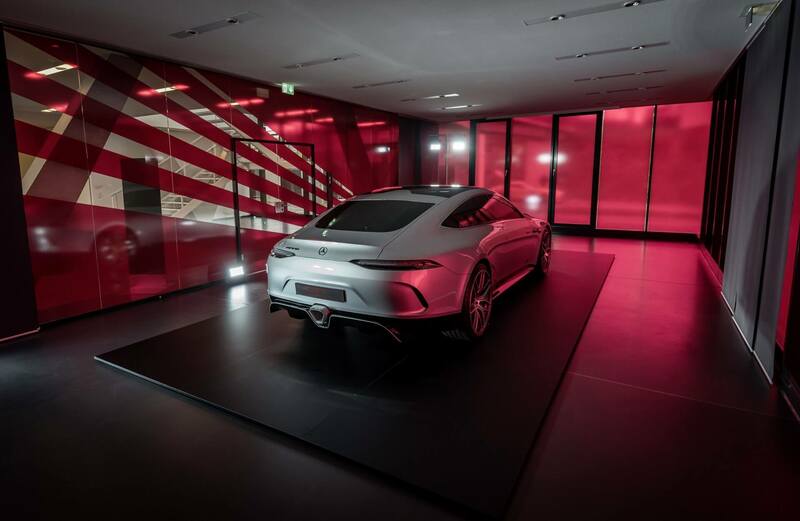 The blueprint for the track comes from the world renowned Formula 1 architect Hermann Tilke in collaboration with the rally legend Walter Roehrl. 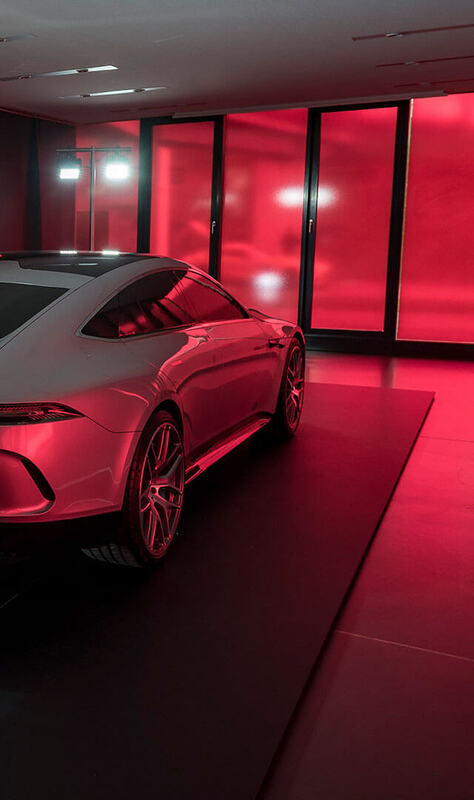 The circuit served as the perfect proving ground for the 20 cars representing the GT model family, which for their part delivered an authentic race-day experience. Apart from selecting the circuit, OSK was also entrusted with the communication concept and designing the venue’s premises for the PR event. 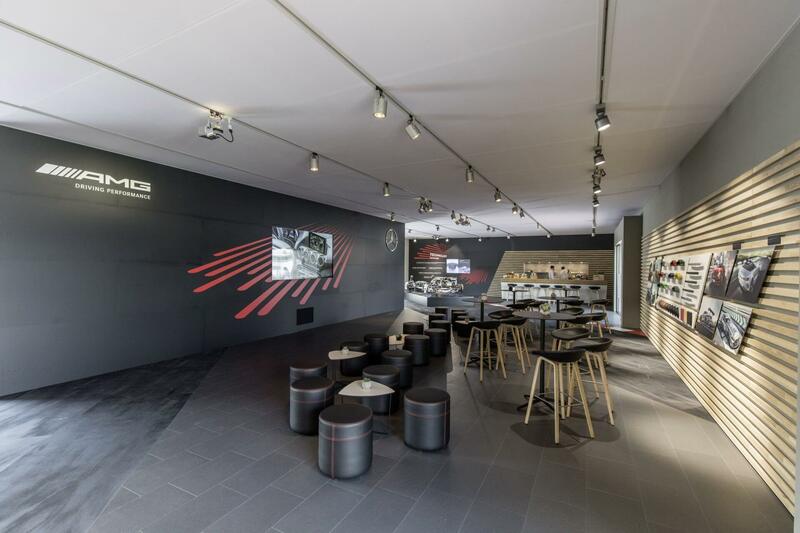 The on-site garages, buildings and even the restaurant were made over to serve as a brand forum reflecting all the athletic and vibrant flavor of AMG.